FarmLab CEO and co-founder Sam Duncan believes improving his understanding of governance is crucial. YOUNG sheep industry leaders are among the latest intake in the Australian Institute of Company Directors’ Foundations of Directorship program. Among the 25 rural leaders selected for the program are Agriculture Victoria lamb industry development officer Grace Calder and Sheep Producers Australia industry leadership manager Melissa Neal. The opportunity to attend the program was unveiled last month under the AgriFutures™ Ignite Network, which aims to connect passionate rural leaders. Participants have a strong interest in shaping the future of Australian rural industries and are responsible for igniting the passion, revitalising the industry and introducing and encouraging the changes to make it happen, AgriFutures said. 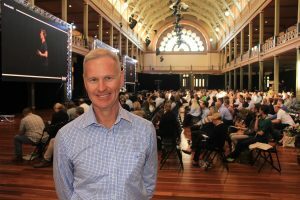 AgriFutures Australia managing director John Harvey at evokeAG. AgriFutures Australia managing director, John Harvey said the “golden-nugget opportunity” is just one of the ways the organisation is working to develop the leadership skills of young people in rural industries. “Ignite Network members influence, they make change and they ignite new ideas into our agriculture sector. “We want these people to be on boards, panels and in executive positions but we need to give them the key skills to help them on this journey,” Mr Harvey said. The AICD Foundations of Directorship program provides a comprehensive overview of the main components of directorship including governance, finance, strategy and risk. Participants will learn how to interpret financial statements, identify key causes of strategic risk and how those risks can best be treated and build their knowledge on effective decisions that will minimise personal risk and maximise contribution. Ignite Network member and FarmLab chief executive officer Sam Duncan is one of the successful applicants. 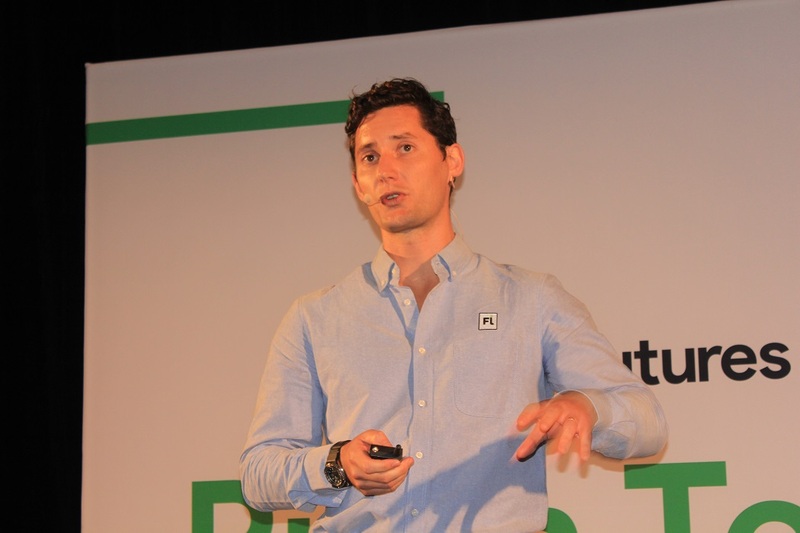 Mr Duncan was a logistics officer in the Air Force before he founded FarmLab, an agtech business helping farmers and agronomists sustainably manage their soil. “As one of the directors of a growing agribusiness, I have had little exposure to being on a board, in particular the governance and administration requirements that are associated with it. “Moving forward, improving my understanding around governance is crucial – particularly in ensuring our processes and structure are correct prior to the growth of the business. “I’m looking forward to networking with other emerging leaders in the industry. I have relatively few contacts in the agricultural community, so I’m extremely keen to expand my networks where possible,” Mr Duncan said. Another successful applicant, Jade Miles, farmer and founding president of the Beechworth Food Co-Op, hoped the skills she learns will help her continue to support initiatives to grow the development of vibrant local food systems across our regional communities – which she believes are desperate for ways to reconnect, rebuild and revitalise. “I have previously explored opportunities to sit on advisory panels and boards within the agriculture sector, but despite being a strong candidate and having a passion for agriculture, I have not been successful with these applications due to a lack of formal training and experience in corporate governance / director responsibilities. “I’m looking forward to taking part in the three-day Foundations of Directorship program as I believe it will help me overcome this barrier and enable me to use my skills and experience to give back to the industry,” she said. The three-day program will be held in Sydney from 21-23 May 2019. To stay connected with future AgriFutures™ Ignite Network opportunities, and to connect with passionate rural leaders across Australia, join the AgriFutures™ Ignite Facebook group.